Who is available, who is on a break and who is sick or on holiday? These questions are familiar to everyone who has worked on the switchboard. TimePunch offers the right answer. Because with an attendance list, it is quite easy to determine who is currently on a break and who is working. Thus, the switchboard can immediately forward their phone call to the right person. The attendance list is updated every minute automatically and always contains current data for all members of staff. Depending on the permission given to the person, the working time remains private and not visible. 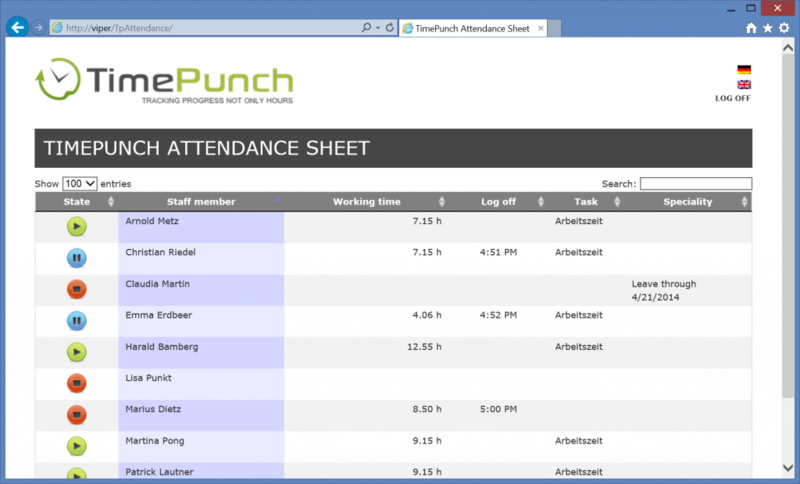 The TimePunch Attendance sheet is available as a module for the TimePunch Application Server.